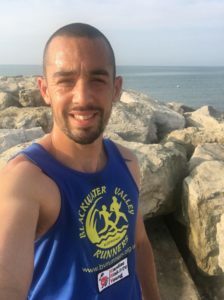 My name is Rob and I am currently 35, I have always enjoyed sports, more so endurance sport! I used to cycle a lot and also run a fair bit too. 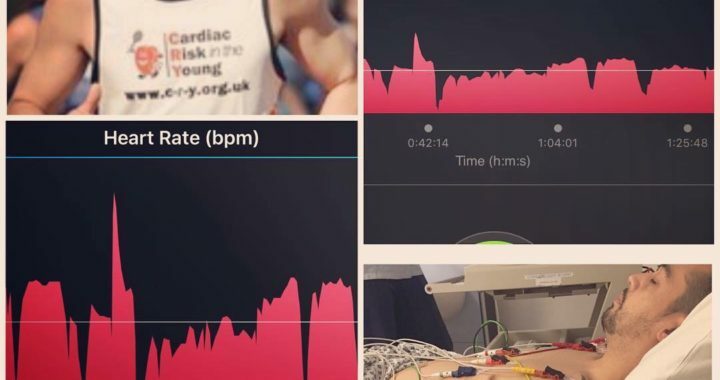 When I was 28 I was training for a Olympic distance triathlon when I started to notice that when i did the run part of training my heart rate would randomly increase to well over 200BPM, my heart would be pounding, I would feel completely out of breath and weak… It was so random at the time that I figured that maybe I was just a bit fatigued, dehydrated or something minor, so minor in fact that I didn’t tell anyone because it didn’t seem worth it (not even my wife who is a nurse or brother in law who is a doctor). Over some time I started to notice it more and more and it got to a point where the episodes were lasting 10/15 minutes, which left me exhausted… If you think 200+ BPM for 15 minutes is like hill sprinting for 15 minutes! After discussing with my wife and family, I decided to go the GP and got referred to a Cardiologist; several months of inconclusive tests I was put through something called an Electrophysiology study at Frimley Park Hospital. The study is basically an electrical test of my heart to find out if and where I had an electrical issue. The study concluded and diagnosed me with a condition called Atrial Fibrillation (AF). At the time I was given options on how to proceed either medically or surgically. I decided I was too young to have heart surgery and took the medical approach which was simply 1 pill which i should take as and when an episode happened. I also gave up running, in fact I gave up most exercise. I got touch with a fantastic charity called Cardiac Risk in the Young or CRY as the call themselves. The charity is aimed at young adults between 14-35 and offers help, advice, screening and all sorts for preventative Cardiac issues in people that don’t know the have a cardiac issue. I decided to use my London place and raise money for the charity and in return they helped me train and stay positive. London was a great journey and I landed a 3.45 with no cardiac issues on the day. Brighton marathon day came and I unfortunately had the biggest episode to date. It started at mile 9 and I regrettably was too wrapped in in marathon fever to stop and quit… I carried onto mile 14 with a HR of 235 and ended up in a st John’s tent where I was very close to having something called Cardioversion (defib to shock heart back into correct rhythm ). Thankfully I didn’t need to have this and my AF settled down. This was the end of the Brighton marathon 2016. At now 34 I felt it was time to see the Cardiologist again and go for the surgery to get fixed once and for all. I didn’t stop running this time though, I just made sure I was sensible and got to know my condition so i could manage it better in the interim before the operation. I think its safe to say I’m fixed for now but i continue to raise awareness of undiagnosed cardiac conditions and you all may have seen my CRY badges on my BVR T-shirt and Vest. Undiagnosed Cardiac conditions is a serious matter and can be devastating if affected. Every year people suffer some kind of cardiac issue they didn’t know about and unfortunately sometimes its fatal. I strongly urge anyone within the club and outside the club for that matter, between the ages of 14-35 to go onto CRY’s website and see where the next local screening is, its free and could save your life.